Built to stand against any wall as long as you have a flat surface. I build two different standard sizes for the price listed here. 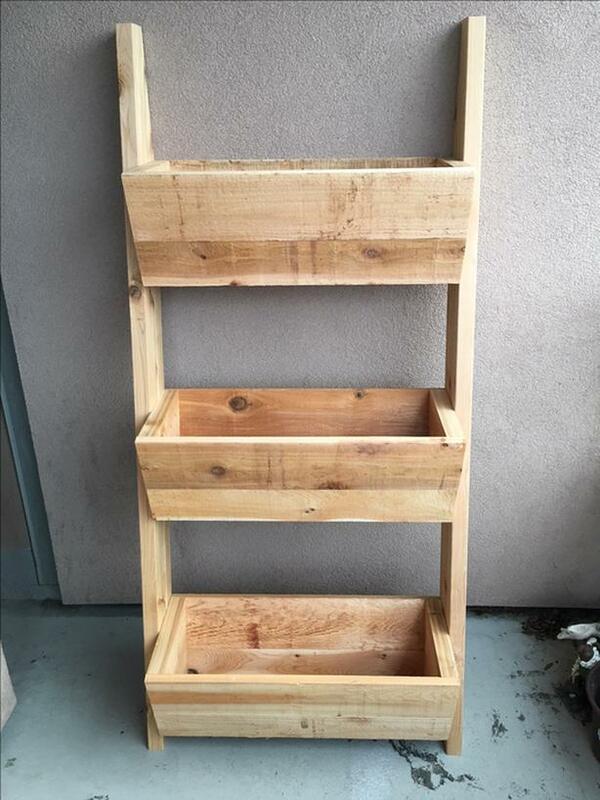 The three-tier planter ladder, the three planter boxes approximately 9" high and 11 1/4" deep at the top. The total width of the entire unit is 30' wide and stands about 63 inches high. The five-tier planter ladder, the five planter boxes approximately 5 1/2" high and 9" deep at the top. The total width of the entire unit is 30' wide and stands about 63 inches high. I can make them custom sizes as well, email for a price on custom sizes. These are natural, if you want them painted or stained contact us to get a price on them being stained or painted.